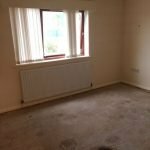 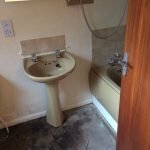 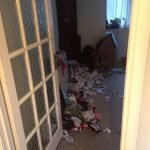 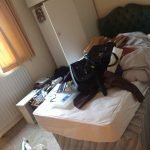 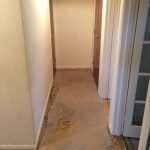 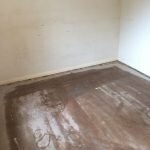 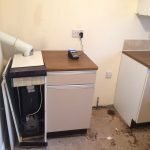 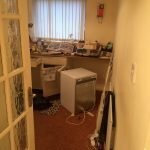 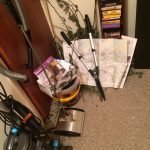 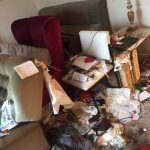 House Clearance Service In Old Kilpatrick Crossmyloof Darnley Deaconsbank Drumoyne. 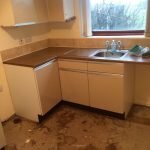 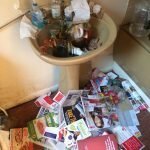 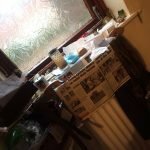 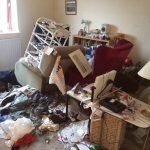 Hi there just inquiring about a house clearance for a 4 bedroom new build house situated in Old Kilpatrick – Scotland it is cluttered and may require more than 1 van if you could give me an estimated price for this would be great regards. 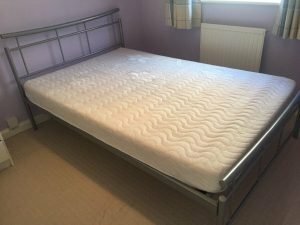 A chrome double bed frame, together with a white double mattress. 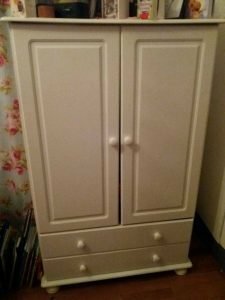 A white small solid wood double children’s wardrobe, raised on ball feet, having two storage drawers to the base. 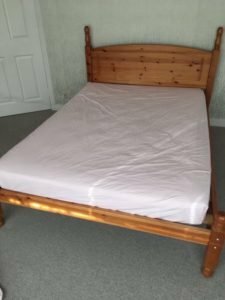 A solid pine four poster double bed frame, together with a white double mattress. 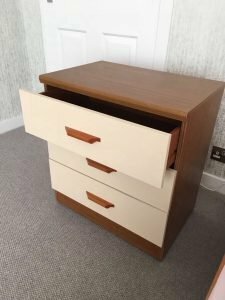 A solid wood two tone three drawer bedside unit. 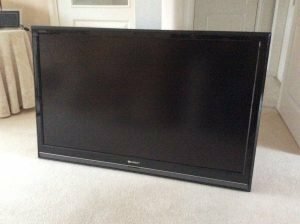 A black Sharp 46inch flat screen wall mountable television. 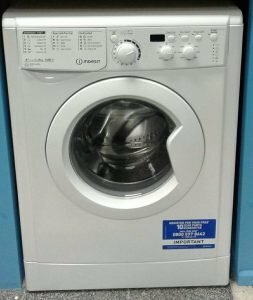 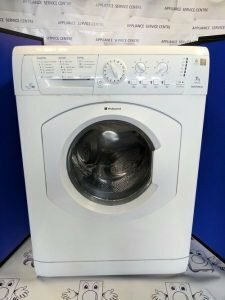 A white Indesit E267 1400spin 8kg under counter washing machine. 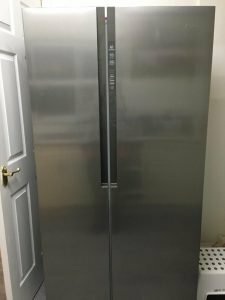 A silver Haeir side by side American style fridge freezer. 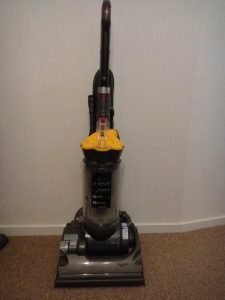 A grey and yellow Dyson DC25 upright bagless vacuum cleaner. 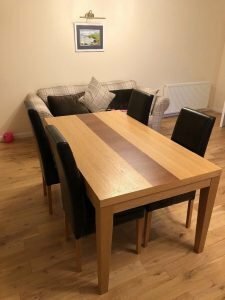 A large solid wood dining table, together with four high back dining chairs, upholstered in black faux leather, together with a two seater grey tartan sofa. 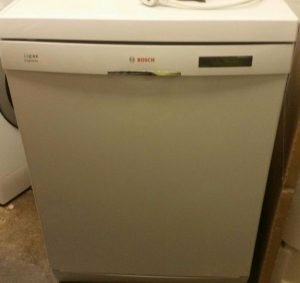 A white Bosch full size under counter dishwasher. 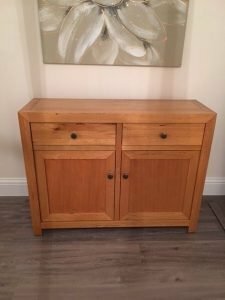 A small solid oak Next modern sideboard, having two drawers above a double cupboard. 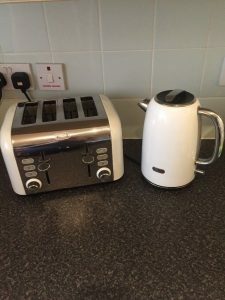 A cream and stainless steel Breville four slice toaster, together with the matching kettle. 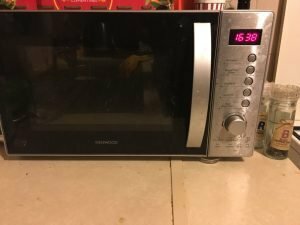 A silver stainless steel Kenwood 600w microwave oven. 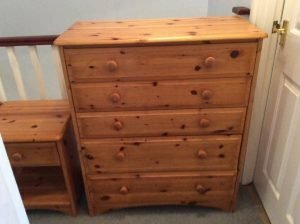 A large solid pine bedroom chest of five drawers, together with the matching bedside unit. 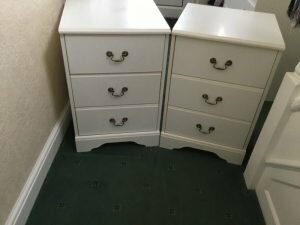 A pair of white solid wood three drawer bedside drawers, each with brass handles.